HANOVER, N.H. (AP) — A bear whose life was spared last spring by the governor has returned with four new cubs to the college town where she has feasted for the last few years. 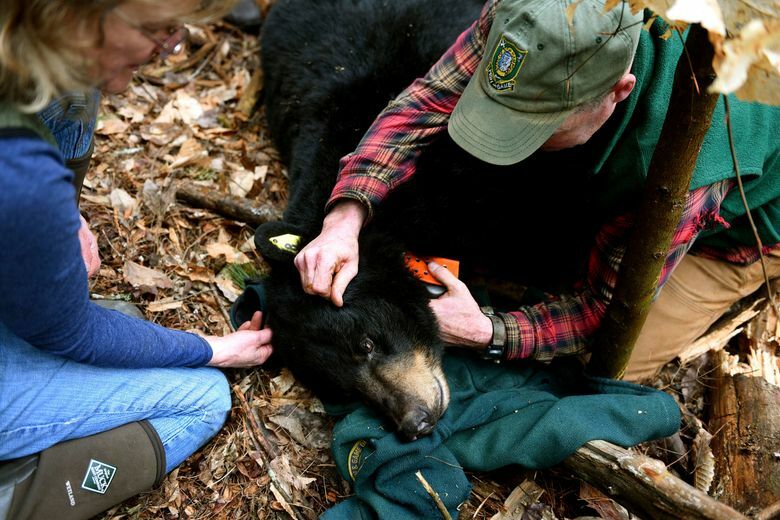 The state’s Fish and Game Department decided in May to euthanize the mother black bear and three yearlings after repeated problems with them feeding from trash and bird feeders culminated with two of them entering a home near Dartmouth College, in Hanover. Officials argued the plan to euthanize the bears was necessary because the bears were no longer afraid of humans and likely would find new neighborhoods to visit if moved. But Republican Gov. Chris Sununu, after public outcry to save the bears, ordered the bears relocated instead. The mother bear wasn’t trapped, however, because she left Hanover to mate. As predicted, she reappeared in late August and again more recently with four cubs born this year. 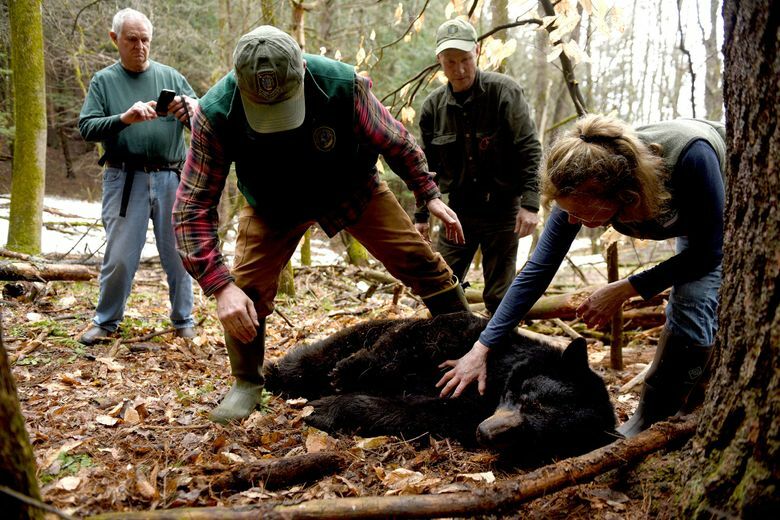 New Hampshire’s bear project leader, Andrew Timmins, said the plan is to move the mother and the cubs to the heavily wooded and sparsely populated far northern part of the state when the weather warms up, the snow melts and more bear food, such as acorns, roots and berries, becomes available. He said there’s a concern if the mother bear stays around Hanover she could raise the new cubs the way she raised her last set and they could become accustomed to eating human food and trash. Timmins and other officials used a dart gun to tranquilize the 180-pound (82-kilogram) sow so they could fit her with a tracking collar and tag her ears. 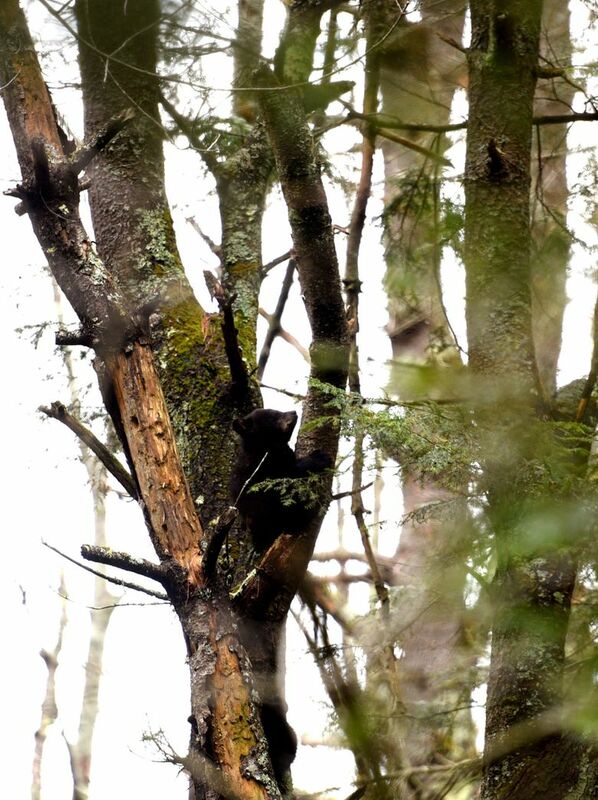 The cubs, about 5 pounds (2.3 kilograms) each, stayed high above in a tree. The collar, besides letting officials easily find the bear when it’s time to relocate her, will identify where she is feeding so authorities can target public education efforts. The problems with bears foraging for food in residential areas in Hanover are years in the making, though the situation has improved since town officials asked residents to secure their garbage and remove bird feeders, which can attract bears. Timmins said residents seemed to get the message last summer but when the bear became less active the bird feeders went back out. He said some residents haven’t remained vigilant regarding the hungry bear despite the education efforts encouraging them to remove bird feeders by the beginning of April. The bear’s den is about a mile (1.6 kilometers) from the college campus, down a steep hill from a large home. The homeowner, who didn’t want to be interviewed, told officials in her driveway on Friday she fears for her children’s safety and wants the bear gone. A bear rehabilitation expert, Ben Kilham, assured the homeowner no one is in danger. Among the three yearlings relocated last year, one was shot and killed by a hunter in Quebec about three weeks later. Timmins said he wouldn’t be surprised if the other two met the same fate, though that may never be known because some hunters engage in what he called “shoot, shovel, shut up” and don’t report their take. Sununu said he knew that was a possibility when he stepped in but he didn’t want to just blindly follow the policy to euthanize. “I think what we’ve been very successful in doing is encouraging Fish and Game to look at these situations on a case-by-case basis, always taking our citizens’ safety first and foremost as a priority but also treating the situation in as humanely a way as possible,” he said Thursday. New Hampshire has roughly 6,100 bears, and a record 898 were killed in last year’s hunt, but Timmins said the decision to euthanize one is not made lightly. He said bears relocated to unfamiliar territory often don’t fare well because they don’t know where food is.